These Bluetooth earbuds are app-enabled to create a custom sound experience tailored just for you. 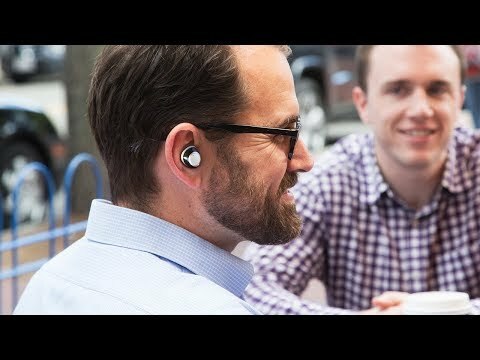 They enhance your natural hearing by amplifying or minimizing sounds to isolate just what you want to listen in on—like a conversation in a noisy restaurant. And the low profile design seamlessly lends a hand (or, more accurately, an ear) without drawing attention. Dimensions: 7.4" x 4" x 2.89"
I bought these because my hearing has gotten worse. 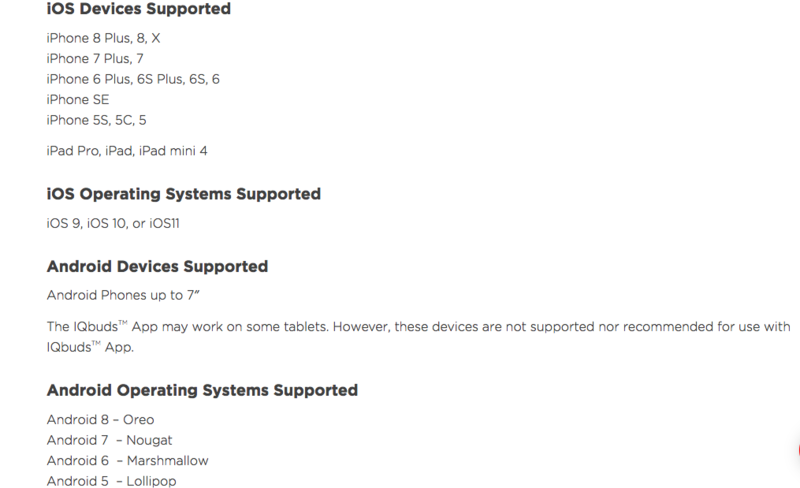 When they arrived, I read the instructions and downloaded the firmware updates. The IQbuds work as advertised! Have not used them much or updated them since the original update, but I plan on using them more soon. I've had them for a week. Incredible sound, cordless freedom, speech amplification and selective noise reduction. These things are smart. These are sensational! I don't know what I would do without them. Today, I was on the street and someone asked me for directions. Without having to take my phone out or even tap on the earbuds (which pauses, navigates through listening modes, interacts with siri and skips and rewinds songs! - something my airpods aren't smart enough to do) I was able to hear simultaneous inputs. The music played in unison with the poor lost tourist's questions. I just received a second pair of these. I returned the first pair I received the next day because the earbuds would not charge in their case. Well, the second pair would not charge either, so I returned them too. 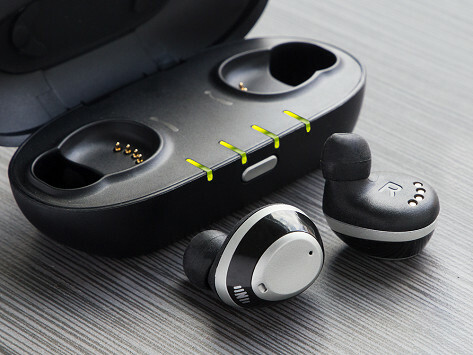 IQBuds combine a Bluetooth headset and noise-cancelling headphones in sleek earbuds that enhance your natural hearing. Superior Intelligent Noise Control, or SINC, is the customizable technology that lets you create a custom hearing experience tailored to your needs. It can amplify or minimize sound to help you hear better in situations you might typically struggle in—like hearing a conversation in a noisy restaurant or listening to music without totally blocking out surrounding sounds. Customize your preferences and surroundings in the app. SINC then applies a frequency filter to the sounds you do and don’t want to hear. Co-Founders Justin Miller and David Cannington were working on industrial-strength hearing headsets for gas and oil workers. When many of their testers expressed interest in a sleeker everyday version, they listened.